Fat LossScitec Turbo Ripper - 200 kaps. 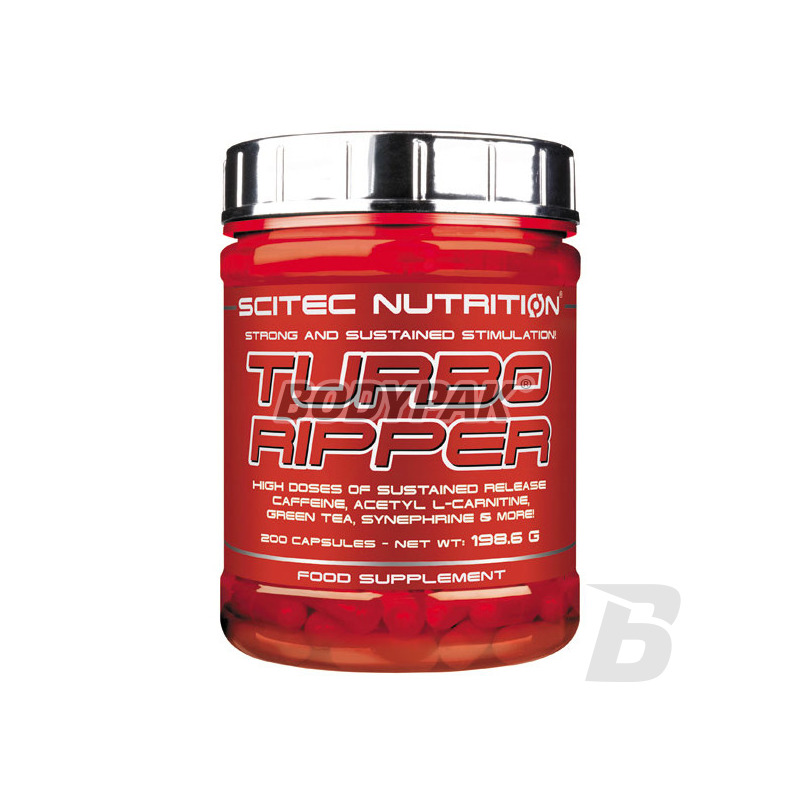 Scitec Turbo Ripper - 200 kaps. TURBO RIPPER provide you with many ingredients in large doses, which will be happy you use! Formula contains L-carnitine and acetyl L-carnitine (ALC) at high doses, it is probably will not be forced (a) s for taking them from another source! 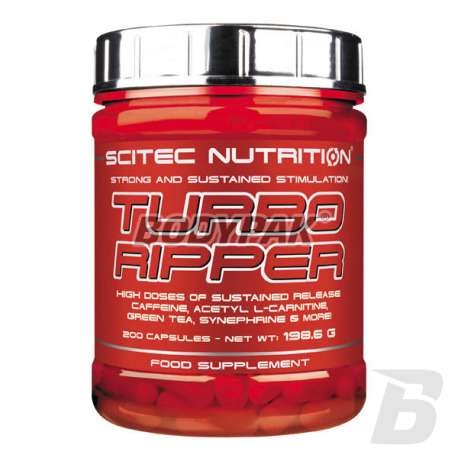 Scitec Turbo Ripper - 100 kaps. In addition, you do not have to look for the source of ingredients such as catechins of green tea extract, tyrosine - which is a precursor to many important hormones and neurotransmitters - and bitter orange extract standardized for synefrynie. More than a TURBO RIPPER provides a large dose, ie. 100mg of caffeine NEWCAFF ™ derived from a variety of sources. Caffeine NEWCAFF ™ has sustained release. NEWCAFF ™ is a new caffeine delivery system, so that the caffeine contained in the product is released for 4 hours! Ingredients: Gelatin beef, Citrus aurantium 10: 1 fruit extract, Camellia sinensis 8: 1 leaf extract, L-tyrosine, Caffeine in microcapsules (emulsifier: Mono- and diglycerides of fatty acids), anti-caking agent (magnesium stearate) Caffeine anhydrous, fruit extract Capsicum frutescens 10: 1, dye (titanium dioxide).